After it came out that Monsanto’s genetically modified maize crop was linked to tumors and organ damage in rats, the EU food safety agency immediately went up in arms in an attempt to find a chink in the armor of the scientific research – as expected. After all, WikiLeaks has revealed that Monsanto literally has enough political pull to have major United States politicians threaten ‘military-style’ trade wars against nations that reject GMOs. One thing that went truly above and beyond the call of political corruption, however, is the agency’s call to stop studying GMOs as they are perfectly ‘safe’ and ‘require no study’. A call that obviously states ‘please stop questioning GMOs and revealing their true effects to the world’. After all, the study that linked GMO consumption to premature death in both male and female rats thanks to tumor development and organ failure garnered the most attention of any study performed on GMOs in the past. It generated massive awareness. 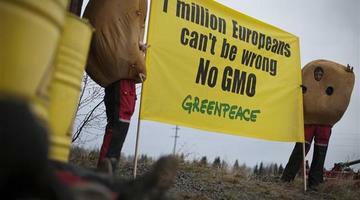 The kind of awareness that profit-driven biotech corporations like Monsanto simply do not like. The kind of awareness that could affect bottom line profits. And it’s doing just that. More and more consumers have begun taking an interest in regards to what they are putting into the mouths of their families. Over 95% of people in the US are in favor of GMO labeling on average, and Non-GMO Verified products are quickly becoming the norm when it comes to baseline natural and organic products. 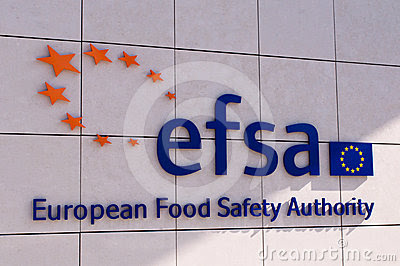 The EU food safety agency knows this, and they are desperate to perform damage control and reassure citizens that GMO ingredients like aspartame and high-fructose corn syrup are perfectly safe. After all, the leaked documents via WikiLeaks reveal that any agency that dares to speak out against GMOs should be hit with a “a target retaliation” that “causes pain” towards the region. In other words, crossing the USA’s crusade to spread GMOs across the land will end with serious consequences.